Jewish Studies has had a representation on the Berkeley campus since 1897, when it was taught by Max Margolis, who subsequently played a key role in the first Jewish Publication Society translation of the Bible. 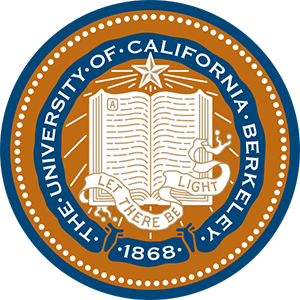 For many decades, UC Berkeley had only one or two faculty members in this field. During my own forty-seven years as a UC faculty member, the program has undergone several significant developments, of which the newly created Center is certainly the most exciting. In the early 1970s, a small group of faculty whose teaching and research were primarily in Jewish Studies informally constituted themselves as a Committee on Jewish Studies. We had no budget, no staff, no office, and for a long time no official appointment from the University. Despite all this, we managed to gain momentum, especially as a graduate program, in large part because members of our group were producing original scholarship that rapidly gained an international reputation. A stream of unusually gifted students came to study at Berkeley — it has been my own abiding pleasure to work with them over the years — and this development was reinforced in 1978 with the inauguration of a Joint Doctoral Program in Jewish Studies with the Graduate Theological Union. The JDP was a great success, even in the face of some bureaucratic challenges in integrating the two institutions, and it produced a good many distinguished students now occupying positions at major universities in the United States, England, and Israel. Due to a reduction in the number of regular faculty in Jewish Studies at GTU, a review of the program by the UC Graduate Council in 2011 recommended discontinuing the program. We acted on this recommendation and have replaced the JDP with a Designated Emphasis in Jewish Studies, which is analogous to a minor in a student’s doctoral program. I should emphasize that through all this period of enheartening growth, our program had to continue to struggle without substantial budgetary support from the University. We were given a tiny office, on loan from Comparative Literature for six years, and we were allowed to hire an administrator though, alas, without money for her salary. We covered this for a year with a gift from a donor and then began to run up a large debt to the College of Letters and Science. Eventually, the Dean’s new office blew the whistle on all this — we lost our administrator and our little office, and the running of the program was folded into the already overloaded burden of the staff at the Department of Near Eastern Studies. All this has dramatically changed over the past few years, and as someone who has been involved in Jewish Studies at Berkeley through these many decades, I personally feel more excitement and hopefulness about the program than I have experienced at any earlier moment. The Office of the Executive Vice Chancellor has provided extremely generous start-up funds that will enable the Center to function vigorously in its foundational years. We all view this as a strong vote of confidence in Jewish Studies on the part of the University. By the end of our first three-year period, we expect to raise sufficient funds to assure a permanent future for the Center. We now have two splendidly capable staff persons, one our Executive Director, the other responsible for student affairs, and have begun the process of hiring a third, a part-time administrative assistant. We have on loan a capacious triple-size office that we were able to reconfigure for the needs of the Center, and are in conversation with the University on plans for a permanent home. With a visible office, staff, and a faculty enlarged by professors from departments where we previously had no presence, all of us involved in Jewish Studies at Berkeley sense that there is now a vibrant focus for our program that did not exist before. We are, moreover, expecting to welcome two new faculty members in the fall of 2015 and potentially a third in 2016. We all feel that we now have a powerful wind in our sails, and we look forward eagerly to future developments.